I am a visionary who believes that anything is possible through hard work and consistency. All that you need to be successful is already on the inside of you. How far would you go to live the life of your dreams? Tanai Benard a school teacher and single mother of three children ages 5,6 and 8 made a decision that ultimately changed their lives forever. In 2013, Tanai's marriage was in shambles and at the time her then husband agreed that they were in need of a change. Tanai figured that moving to another country would be the best thing for the family of five, yet she soon learned that her then husband had other plans. While packing and getting ready for their new journey in the UAE she received a call from her husband who worked offshore, saying "I am just going to stay aboard the ship and ride it out." As you can imagine Tanai was devastated as her plans for her family took a turn for the worse. She had to now accept her husband's decision and began their new journey without her husband by her side. There were other devastating surprises along the way, but that didn't stop Tanai from moving forward with her life and starting over as they boarded a plane four deep. When Tanai finally shared the move with her family their first response was "Where is that?" No one in her family knew exactly where Abu Dhabi was located on the map. Her family was supportive about her move, but she had yet to share the news about the big move with her mother and father while making her family swear to secrecy. 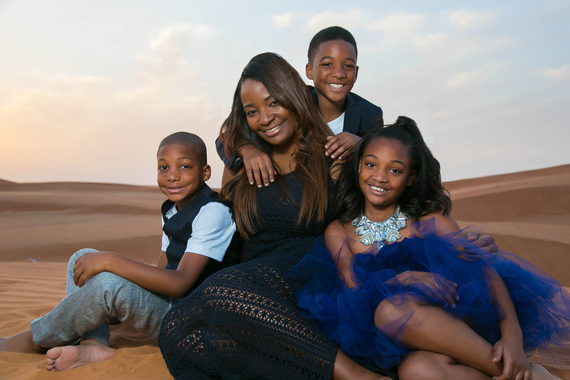 After going through the interview process and accepting the teaching position Tanai made the final decision to move her now family of four to the UAE. Now comes the hard part, it was now time to share her final decision with her parents. Though she was prepared to persuade her mother about the move she surprisingly enough gave her daughter her blessing. Her father on the other hand said "Why are you taking my babies over there with them terrorists?" Her dad's reaction was to be expected. Though her dad had stated "I will NEVER visit!" Tanai recently with much persuasion convinced her father to come and visit with her and the children in August of this year. Since their move to the UAE, the kids by amazement have grown and matured beautifully. After dealing with the reality of their parents' divorce they are excelling and currently attend an American curriculum private school where they are learning Arabic and French. All three children maintain an A or A/B average. The children now get the opportunity to be a part of extracurricular activities and interact with other children from all over the world. There are many single mothers across the country with big dreams, yet many fail to step out on faith and make their dreams a reality. As I read Tanai's amazing testimony of faith, it brought me to tears and encouraged me on my journey. I soon wanted to pick up the phone and encourage her, so I reached out to her via social media and we spoke. After learning more about her story and how she overcame the many obstacles in her life, I couldn't wait to share her story with HuffPost readers all over the world. Even with all odds against her she never gave up while fearlessly going after the life she wanted. 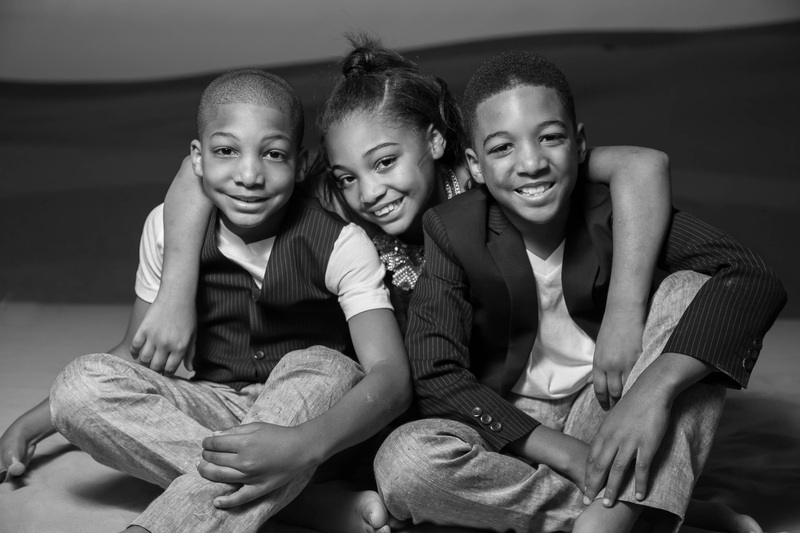 Today, traveling is a new hobby for Tanai and her three children. It is now her personal goal to ensure that her children get a chance to experience new adventures every 100 to 130 days. The life in which Tanai's three children are living is a dream for many mothers all over the world, but a dream in which Tanai has proven can become a reality if you have the faith to believe and take the necessary steps towards your dreams. The decision that Tanai Benard made in 2013 has awarded her family opportunities which in the past she would have only imagined. Many teachers in the United States are far from living the American dream and underpaid while living paycheck to paycheck. This experience has not only changed her life, but has given her a whole new outlook on the American Dream. Tanai struggled while living in the U.S. from paycheck to paycheck. Prior to her move she was an engineering student with a full course load while working full time with three children. She can recall being on almost every government assistance program available. 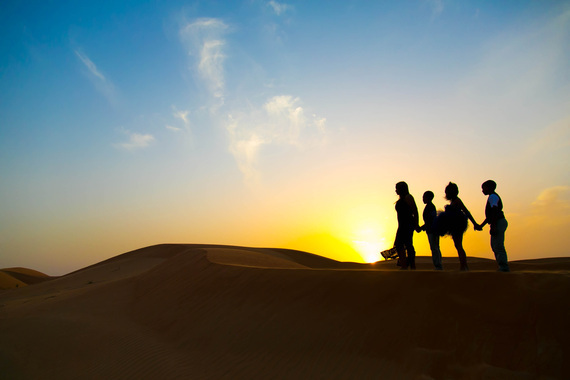 Life is good in Abu Dhabi, and they don't have the same concerns. Many women around the world can relate to her story of perseverance. Who would have thought that a single mother of three who once lived in the projects in Southeast Texas would one day live the life of her dreams in a far away land? It is her faith and great determination that leads to endless possibilities. I dedicate this post to all women, of all races, professional backgrounds and religious beliefs that have faced adversity. Thank you, Tanai Benard, for giving me the opportunity to share your amazing testimony with HuffPost readers all over the world.